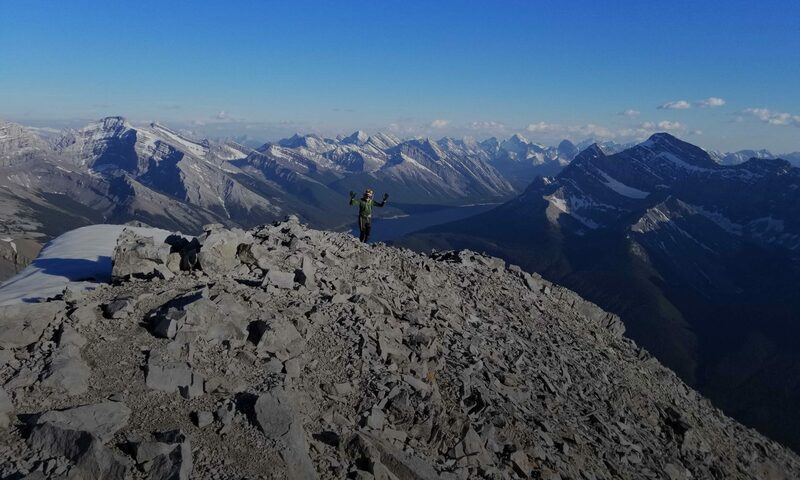 When you hear “Moose Mountain”, you may not always think of scrambling but it’s actually a pretty fun shoulder season trip if you avoid the usual route. On 19 May 2018 we biked to the end of Canyon Creek Rd, followed the SW to the main summit and then returned via the SE ridge with a stop at the ice cave before biking back. Apart from the 30 people on the main summit and at the ice cave, we had the rest of the route to ourselves. The most fun scrambling is on the rocky spine of the SW ridge. The least fun is side sloping through steep, loose rubble to circumvent cliff bands when descending from the SE ridge.